It was about bring everyone together who has been part of the group for the past year and celebrating a year of awesome riding, the variety, challenges, camaraderie and bringing in elements of dirt, Vert (Vertical meters climbed) and a lot of hurt. In the beginning 5 or 6 riders huddled around a fire place at cafe in St Andrews called ‘A boy named Sue’. 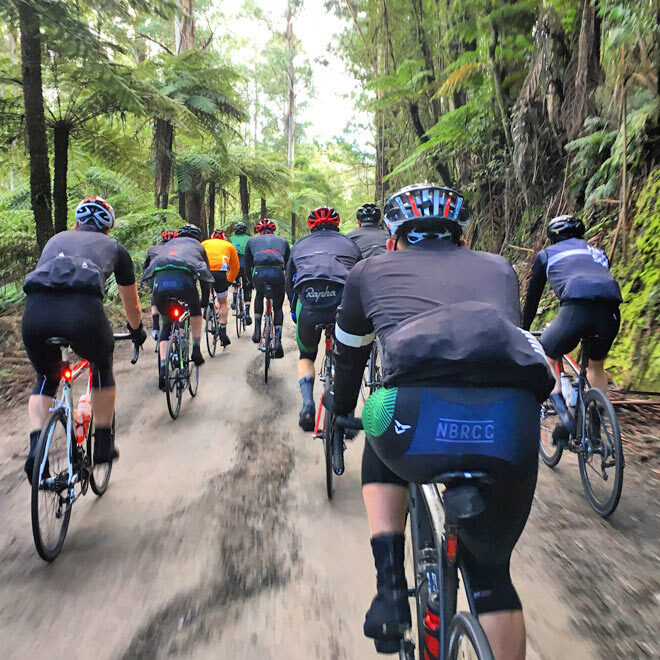 It was cold, wet and freezing so we decided to create a group to organise rides, attract people of similar tastes which gave rise to the NBRCC. The group has grown organically and attracted like-minded people over the past year, who don’t look at the usual way of doing things but the harder option. It’s the exciting part of cycling we used to experience as a kid, you go out with your mates in the woods and you don’t know where you are going so guess we are all big kids at the end of the day with ages ranging from 23 years old to 60. We all share the same enjoyments including getting lost many times. It’s about being with your mates, sharing experiences together, it’s about talking about life and sharing the unknown and excitement of going onto terrain that is pushing the limits on 25mm tyres and occasionally getting lost. NBRCC has an eclectic group of riders whose backgrounds range from riding mountain bike trails and navigating obstacles, pure mountain bikers, CX (Cross Country) and track cyclists all with different flavours that make us tick. 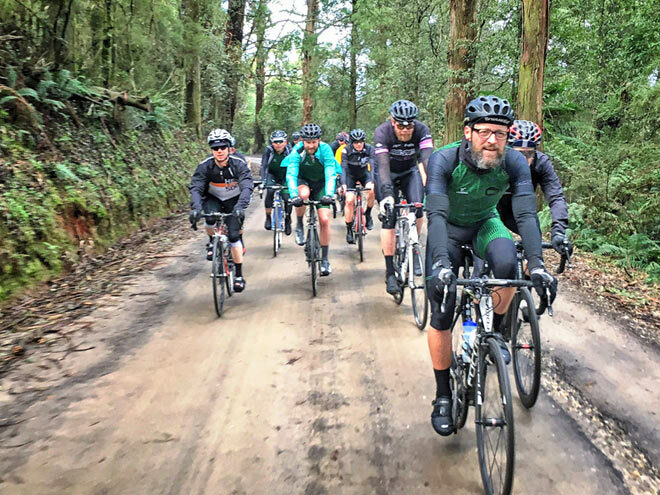 With varying experience/fitness levels, it was about everyone experiencing the same sections of road and dirt together rather than being fragmented. 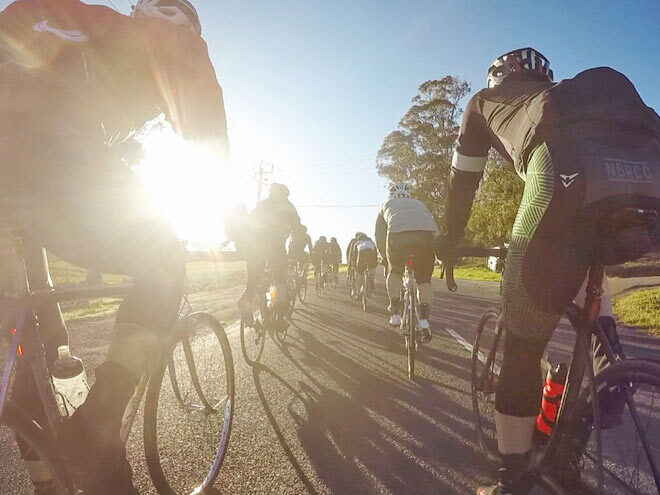 The fastest and slowest riders are paired together (based on their 1 in 20 time - Mountain Hwy in the Dandenong Ranges), ie the fastest times were 15 minutes up to 22 minutes with the average being18 minutes. 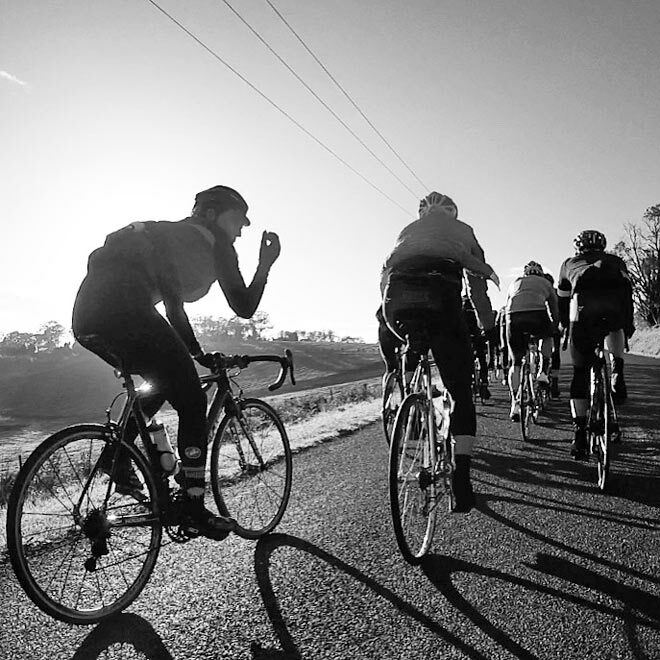 As riders were match against either a faster or slower rider the competitive side of trying to beat your riding buddy was eliminated; whereby the slower rider will push themselves harder to keep up with the stronger rider and conversely the stronger riders efforts support and encourage. So riders wouldn't blow themselves up trying to race against the other rider and could enjoy social element that usually happens around the coffee table. At 200kms with over 4000m of vertical climbing, it was an epic day in the saddle. 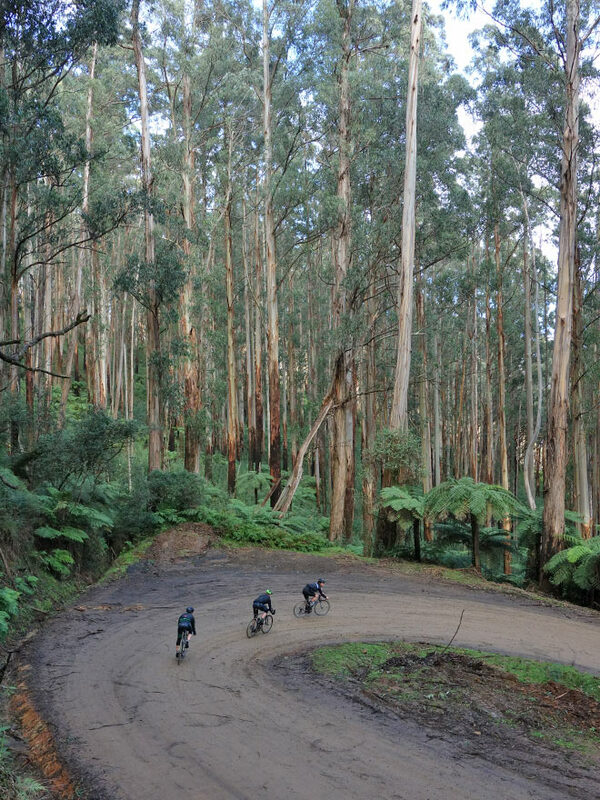 Throw in over 1000m of climbing on dirt and unpredictable weather to challenge the most hardened soul. So with 120kms in their legs and 2800m of climbing behind them and already being a long day to this point, they looked at this thing (Mt St Leonards) at 12.5kms average gradient of 7% with the dirt pinches at 28%. It was like going to war, we had to do it, was part of the course and wasn’t going to avoid it so we put our war strips on and got up it. From the start if things got dangerous and sketchy they would absolutely turn back as safety is paramount but overall the mentality in the group is we have to get up it. Most riders have their earned their stripes having ‘Everested’ (8800m climbed in one attempt) persevered and shown their tenacity that they can get through hard times and ultimately hit the goal. The weaker riders (relative to the other riders) don’t get to train as often due to family commitments, work and life in general so it’s a matter of having to dig very deep compared to sleep up. One rider who received the most respect on the day displayed so much tenacity by gritting his teeth and just arriving at each rest stop just as group was leaving. 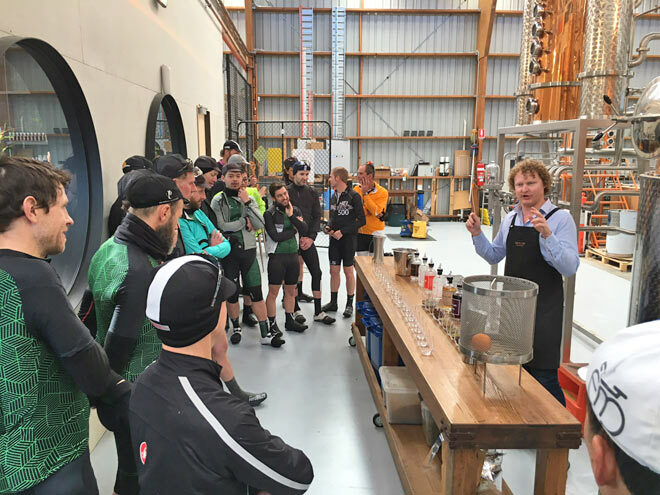 Part of the ride included a tasting session at the 4 Pillars Gin Distillery in Healsville that would warm up the coldest souls and raise their spirits up to get up the Mt St Leonards climb. One rider in particular managed to dull his headache after indulging in the gin sampling. Everyone is an optimist and are extremely driven and determined to succeed. Pushing the limits and not giving up and most importantly, ‘we love doing what we do and being together doing it’.